I just wanted to see what everyone else's guide rails look like. All of my rotating gantry rails have wear like this with exception of one, which looks like it did on day one. Is this pretty normal for a 5 month old machine with ~23 days of print service. Not. You should to lubricate it. I do, and have been. I noticed the discoloration maybe a week into using the machine. I put light levels of SuperLube on the guides every few weeks. Im not getting any noise or anything, but I can see the out-of-roundness in the spinning guide rail's hardchrome. @Vicky - Any thoughts? I've started a ticket, but wasn't sure if this was excessive wear or not. Have you ever touched the rod with your fingers, especially the rust sections before? Vicky@Raise3D wrote: Have you ever touched the rod with your fingers, especially the rust sections before? No not intentionally, I only use microfiber cloth like to clean eye glasses when I apply grease. I also wear nitrile gloves when doing so. I will try to get better images, and video tomorrow. The discoloration spans the majority of the whole guide rail on 3 of the rails. Do you feel any resistance on rod? If the rods cannot support your print quality an more, we can consider provide new rods for you to replace. What kind/brand of lubricant is best for these components? Silicone based? Petroleum based? Is this the lube that comes on them? I noticed an accumulation of black grease on mine after 20 hours or so of operation, this would indicate wear to me. Also mine was groaning while moving near the left rear, was in the middle of a 48hr print so I added some Lucas oil on the rails and it quit. 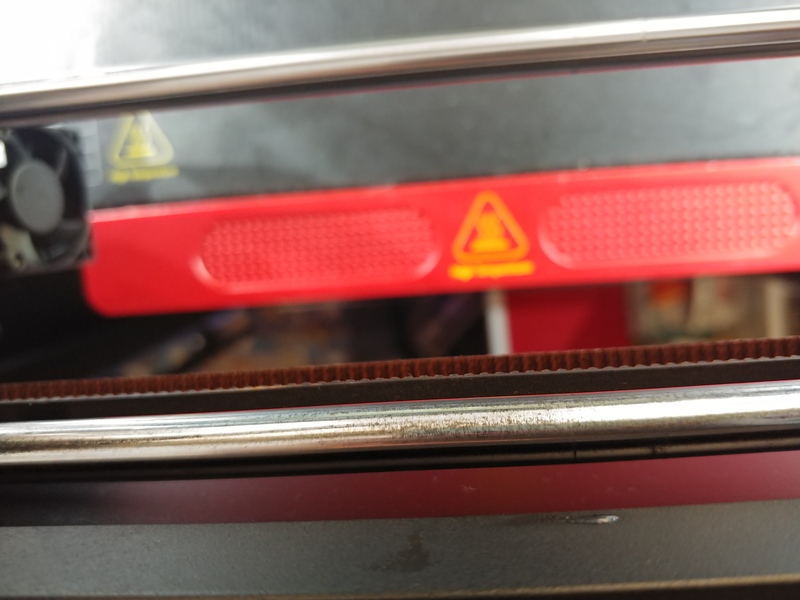 When this print is done I will clean the bars and re-lube. Do you know what the sliders are made of, like bronze bushings or what? It should be some similar type Lube. But we also recommend to wipe out the old lube before applying new lube in case any difference cause damage. The black thing on your rod should be from sliders. They are installed with bronze bushing which have graphite powder inside. Sorry for the delay. Here is the footage of the wear on my guiderails. It's uploaded in 4k which helps to see the detail if you the ability to view it like that. @Vicky I started a ticket but never heard anything back. Would you like to advise ticket number? I can have the team to pay special attention. Hi Vicky, my mistake, the reply emails had mistakenly been blocked by my email spam filter, I've followed up with your technician, thanks. Noted, thanks for your update! Hope a solution can be provided to you very soon based on your situation. TO me that looked like it was polished from the bushing.